Bauma 2016. As if you’re were there already! 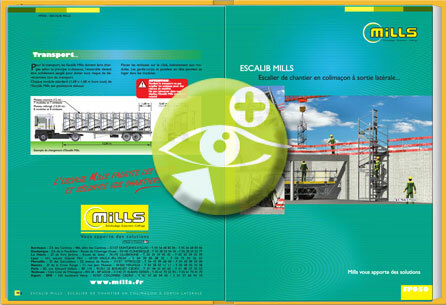 Mills thanks the many visitors who visited us on our stand in the Pôle France Coffrage section called the French Building Equipment Equipment section for the event. For our customers, future customers and partners it was an opportunity to discover our global range covering every need for shoring, formwork and safety in the Made In France tradition. 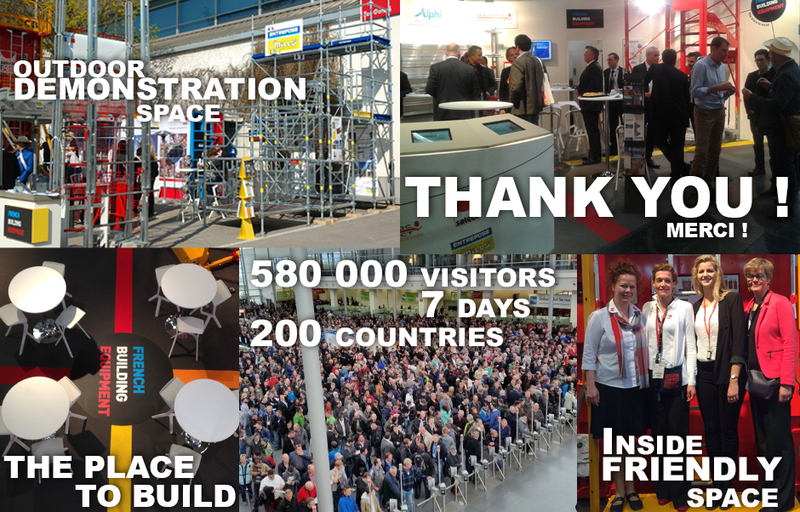 From the very first days there was a spectacular atmosphere in Hall 2 where our teams welcomed and explained our new products like the kit-form Escalib Mills and digital innovations like NOEMI 3D, the free software application dedicated to our business. 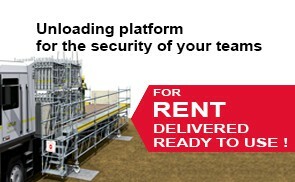 Nearby, on our outdoor demonstration space, our Touréchaf shoring towers highlighted their compatibility with scaffolding particularly for creating connections between towers and work stations with traffic maintain safety for all. From left to right in photo : Alexandre Souvignet, CEO Alphi ; François Guilloteau, CEO Sateco ; Fabrice Fay, CEO Mills ; Gélase Havyarimana, CEO Batiroc Protect. Call us for your future projects. Our teams are there to understand your challenges, make recommendations – and optimise solutions !